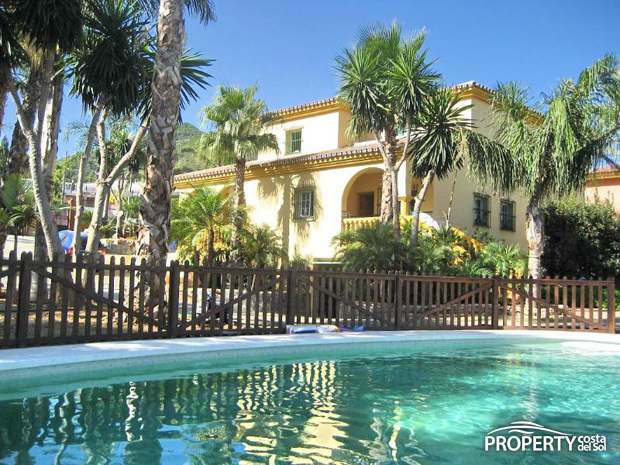 Large villa of 330 m2 in the sought after area, Pinos de Alhaurin, in Alhaurin de la Torre. 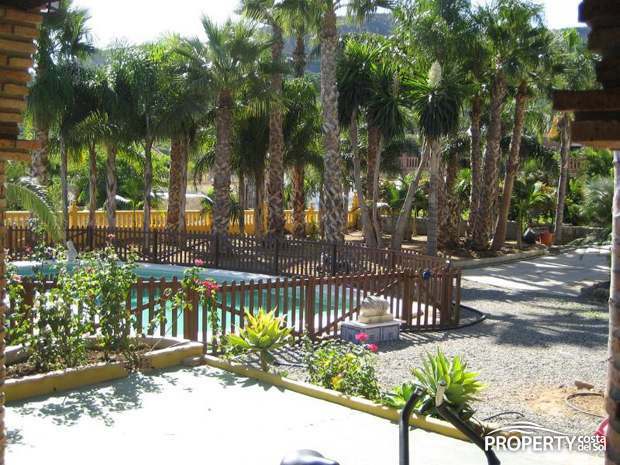 Main level has a spacious 40 m2 big living room with access to a terrace which overlooks the garden and pool area. 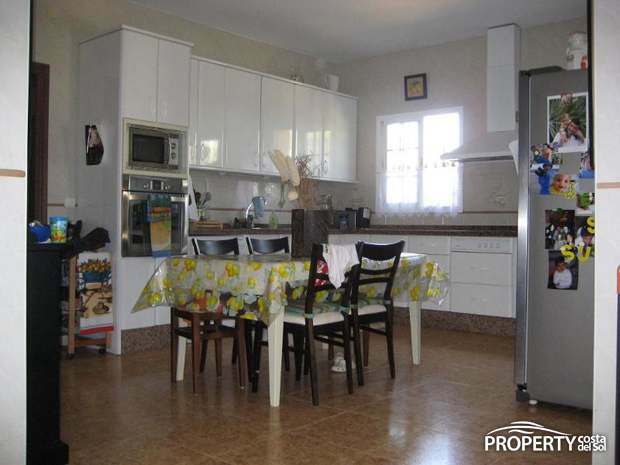 The large bright kitchen is 30 m2. and has a large dining area. Next to the kitchen is a utility room with washing machine, cleaning items, etc. There is also a room at this level, which today is used as an office and a bathroom. 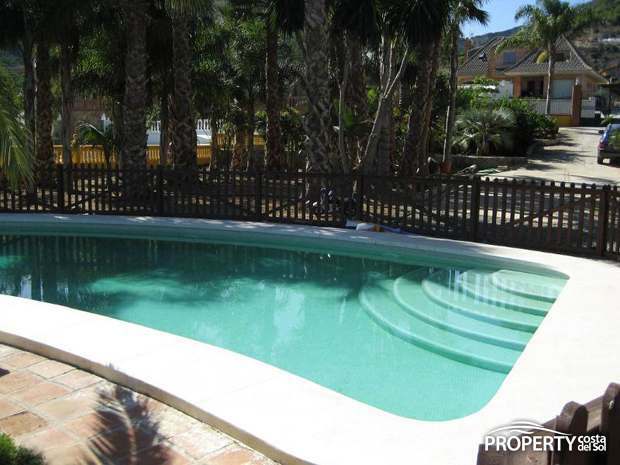 First floor consists of 4 bedrooms, 2 of which have private bathrooms. 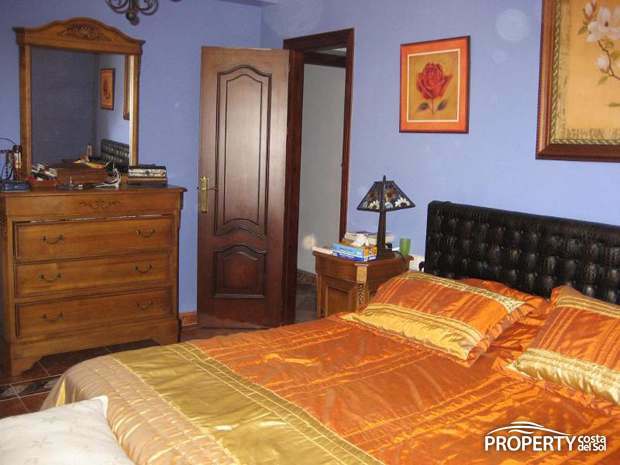 The last 2 bedrooms share a large bathroom. 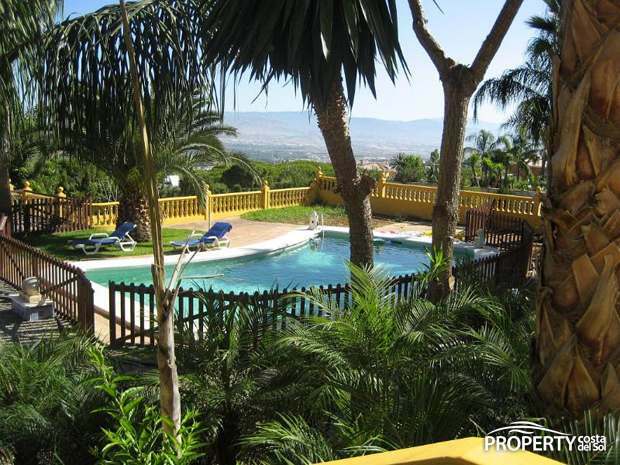 There are terraces on the first floor with wonderful views over Alhaurin de la Torre and the Mediterranean is on the horizon. 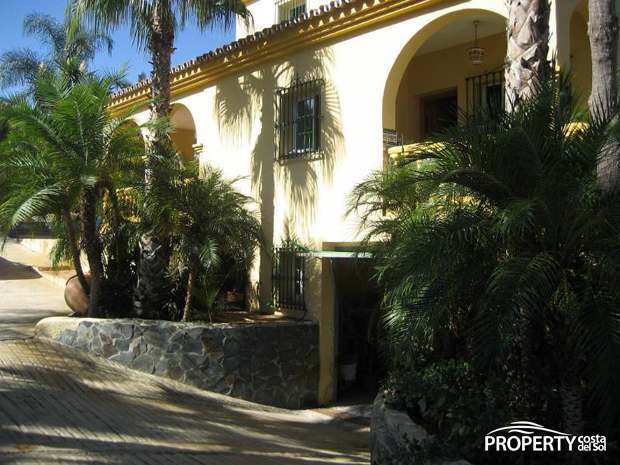 The property has a 70 m2 underground garage. 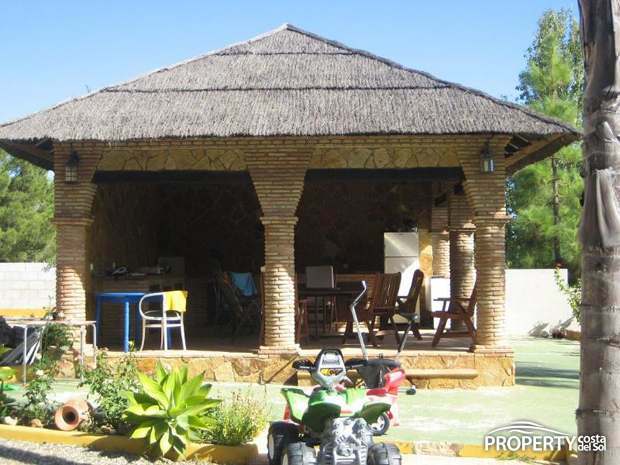 Furthermore, there is a 30 m2 large separate guest house with 1 bathroom. There is a private well. 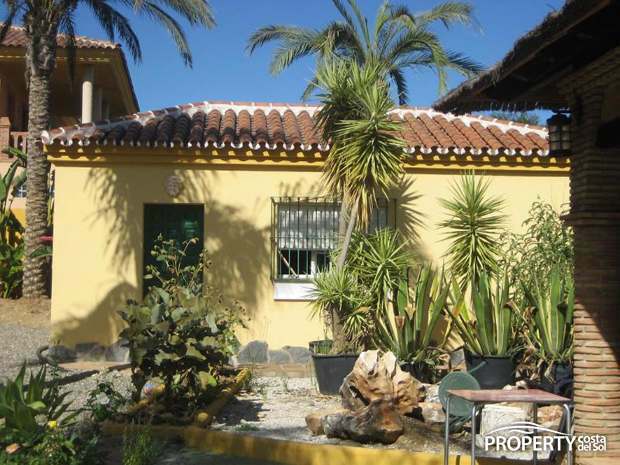 A lovely house with large well used space which is not quite easy to find in Spain. 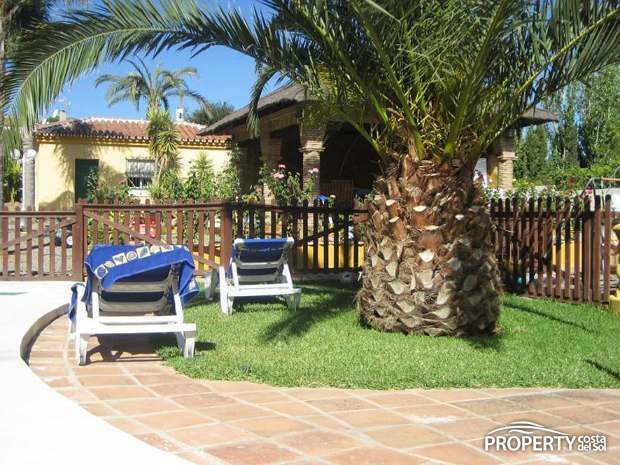 The property is located in a quiet residential neighborhood and is an ideal place for a family or as a luxury holiday in a Spanish villa integrated neighborhood. 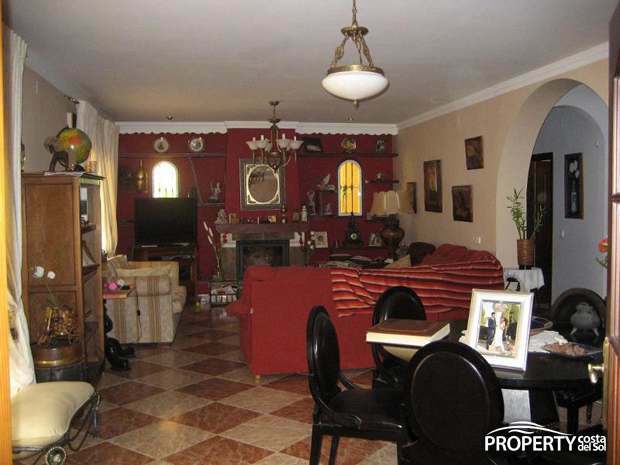 Yes, please send more information about this property with ref.no: 711.